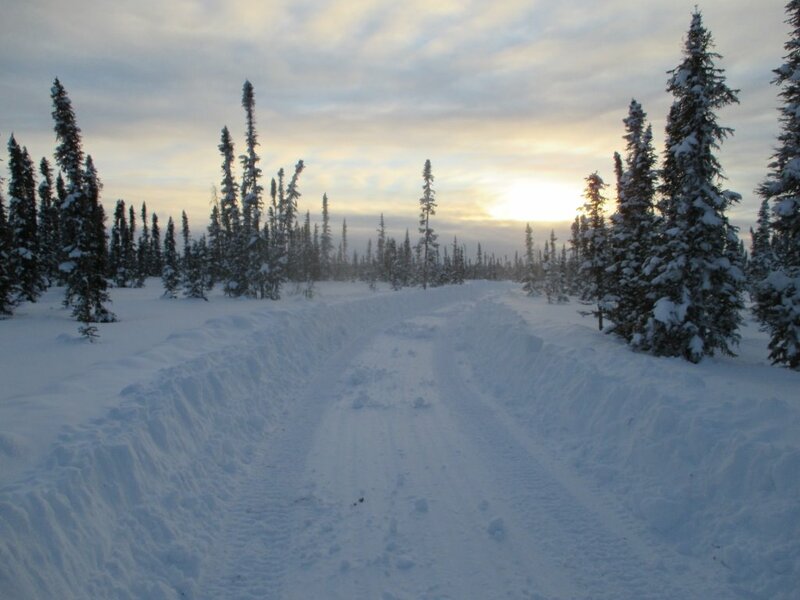 we worked hard over the weekend with temperatures from -32c to -26c to get the winter road roads completed so the drilling can begin. the winter drill roads will now be under the control of corazon.com.au (use cut and paste and google) we won't be able to show any more because they paid a lot of money for these roads to have a sucessfull drill program. 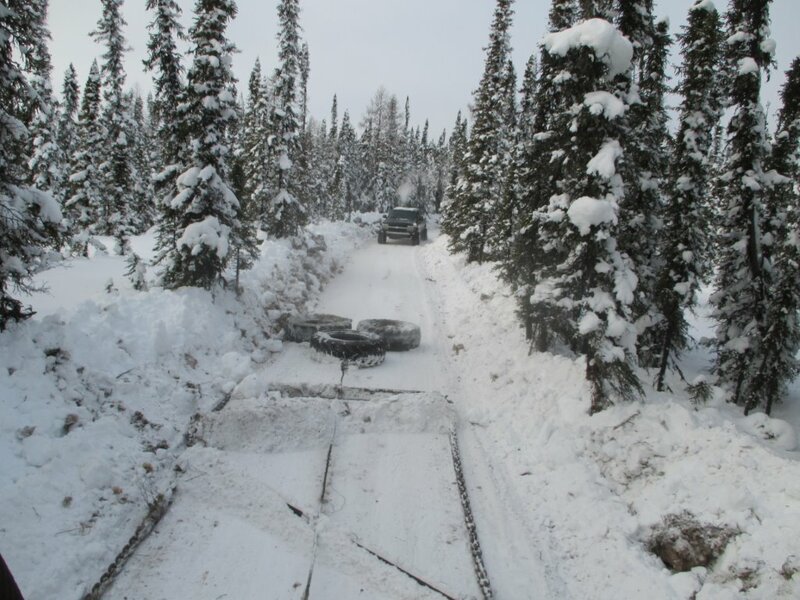 on sunday we had to wait till the heat of the day of -32c to fire up the equipment to then haul it out to the winter drill roads. 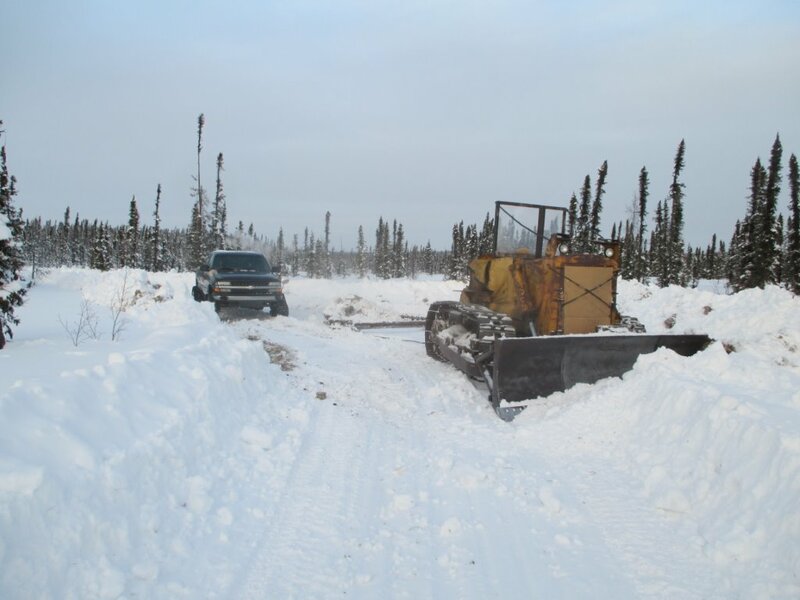 of course i forgot the camera when hauling the equipment but here is a picture at the north access road before we started. 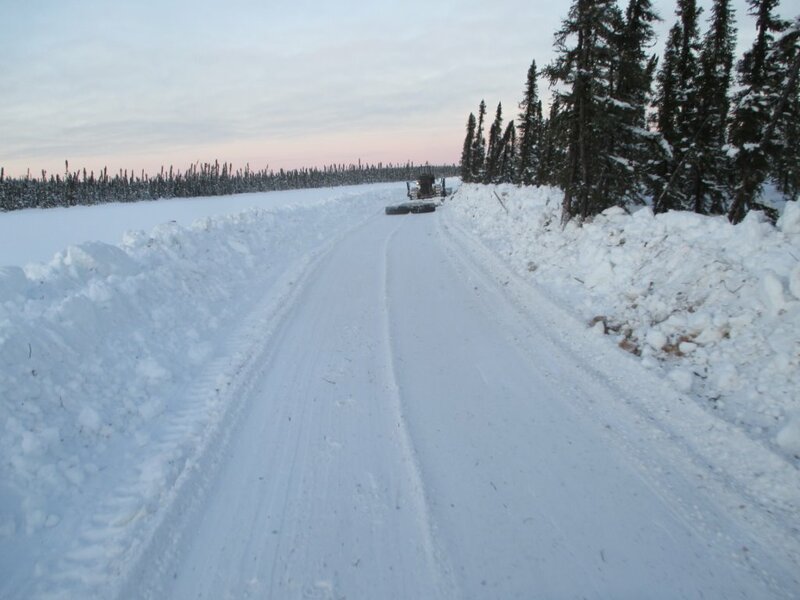 we have more snow in january then in march of last year after the big snow storm that closed the road for 5 days to the south. the only problem we have is where to put the next 3 months of snow that is coming. 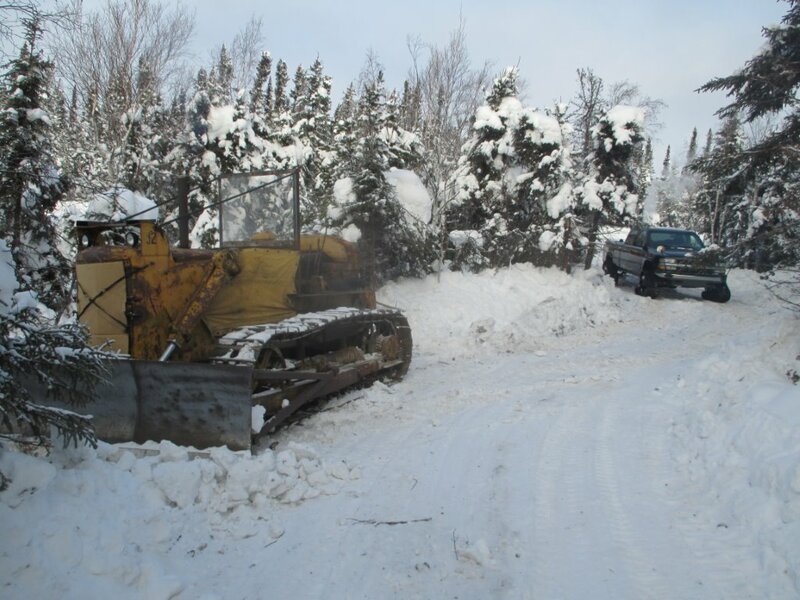 we are able to use the D6 9U cat known as The Hood to widen the road system but the only problem we have it the ground beside the packed road is not frozen. because the ground is not frozen, the blade of the cat cut the top vegatation off which we try not to do. 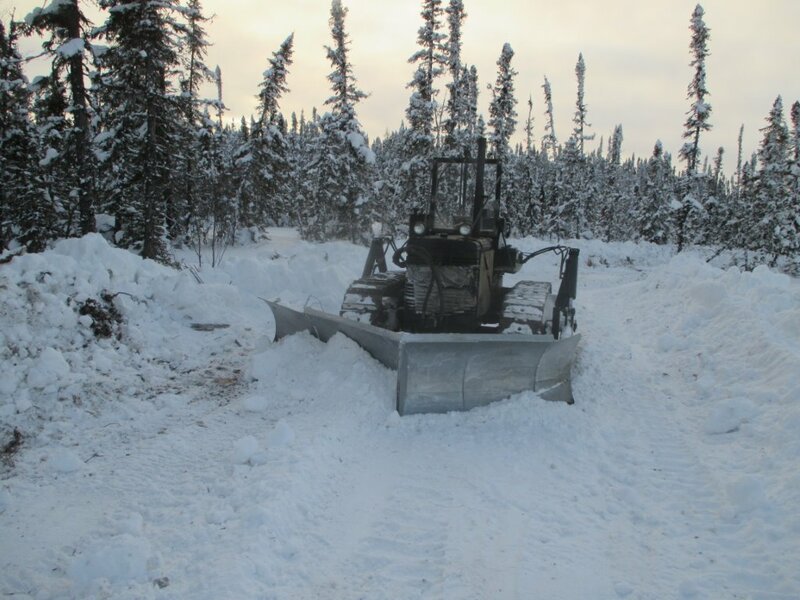 the D6 9U cat is able to plow and pul the drag at the same time when the snow is not too deep. the KoO-Track truck is right behind as a support vehicle. 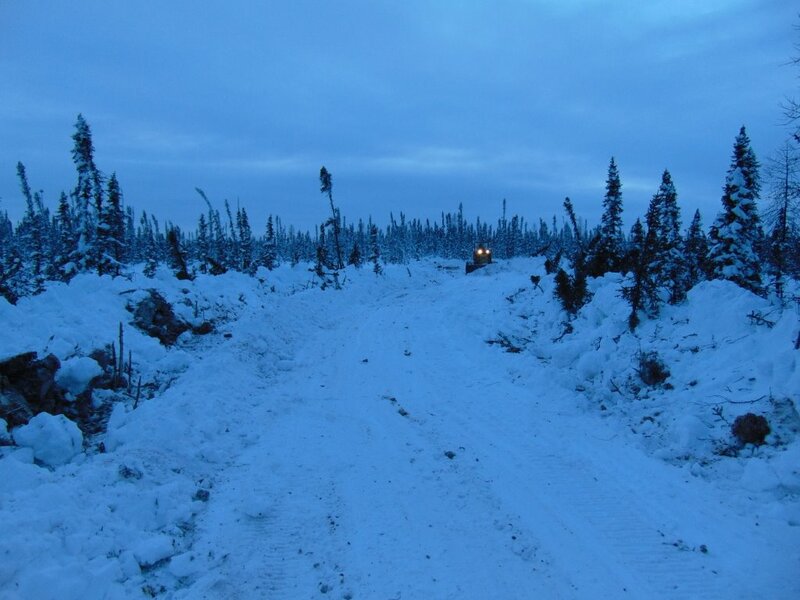 it was getting dark when we arrived at the drill site to clean off the snow to get the ground to freeze up nicely. i'm not able to show any more pictures of the drill sites. 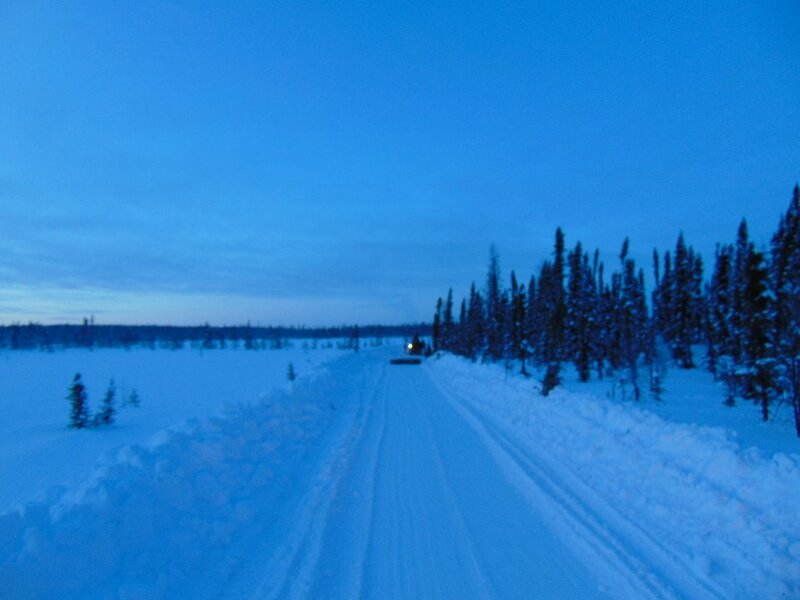 of course it is dark when we are heading back to the parking area of the d6 cat and the Koo-Tracks. as you can see int he picture there is a lot of snow and more coming too. 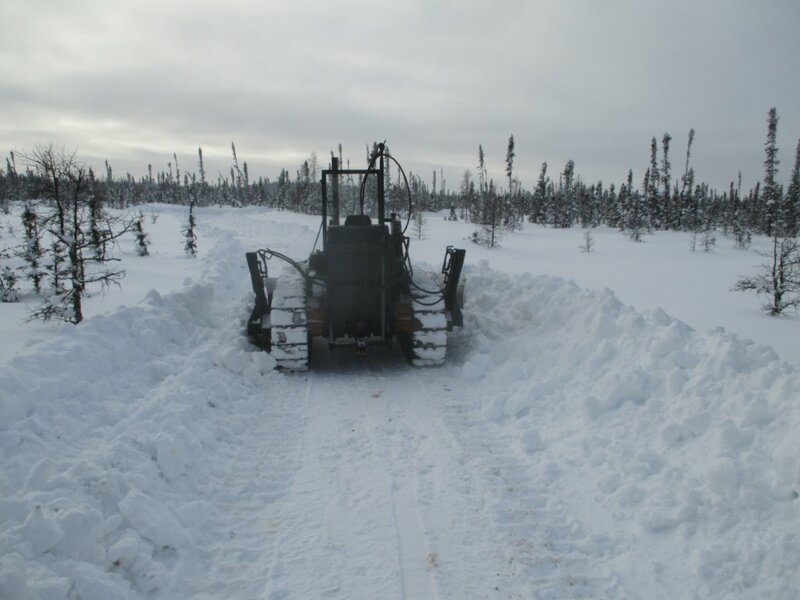 the next day we take the Famous Black Cat out to do the plowing on the south side of the winter drill road system. 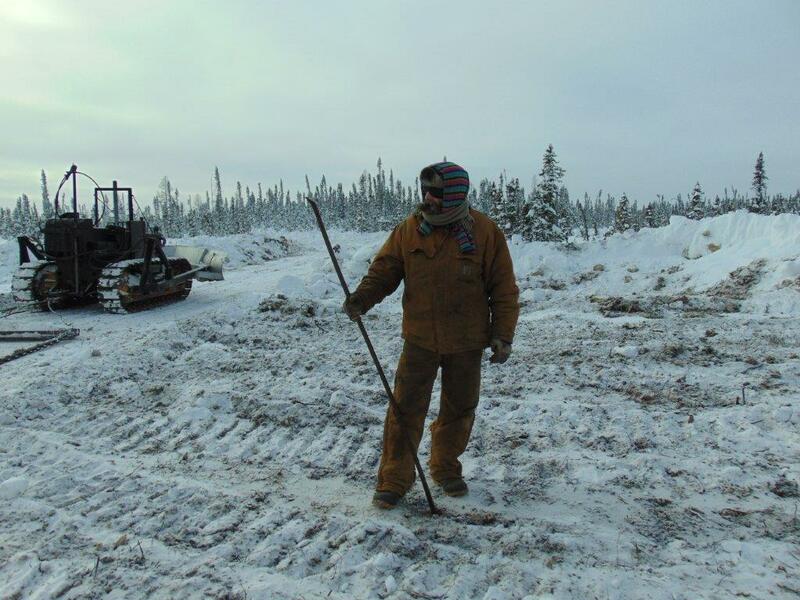 the south side is a wetter muskeg and would support the weight of the big D6 cat. it was very tricky widen the road across the area where i did my famous drunk stubble back in december Winter Drill Roads Part 5 but we had not problems being careful and the cat broke through a couple of times but recovered quickly from sinking the whole machine. with the roads widened out in this section we go back and get the "Z" drag. the drag is basicly 4 graders working a one time and gives a really nice finished product. being the King of Obsolete it is taking a while to get in on the "selfie" stick pictures. 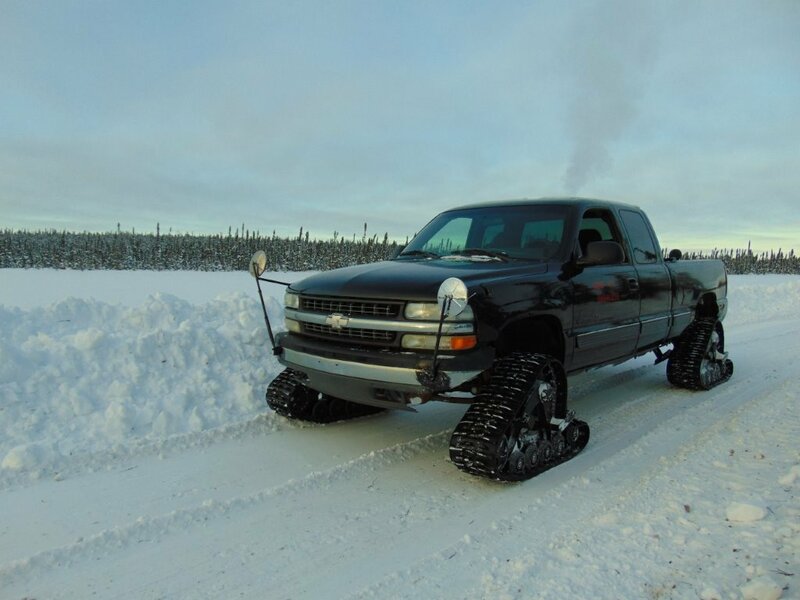 since the little cat is a T-9 IH and the "T" stand for tiny and the snow banks are bigger then what the cat can handle. one must ride the cat to work the snow as best as one can. 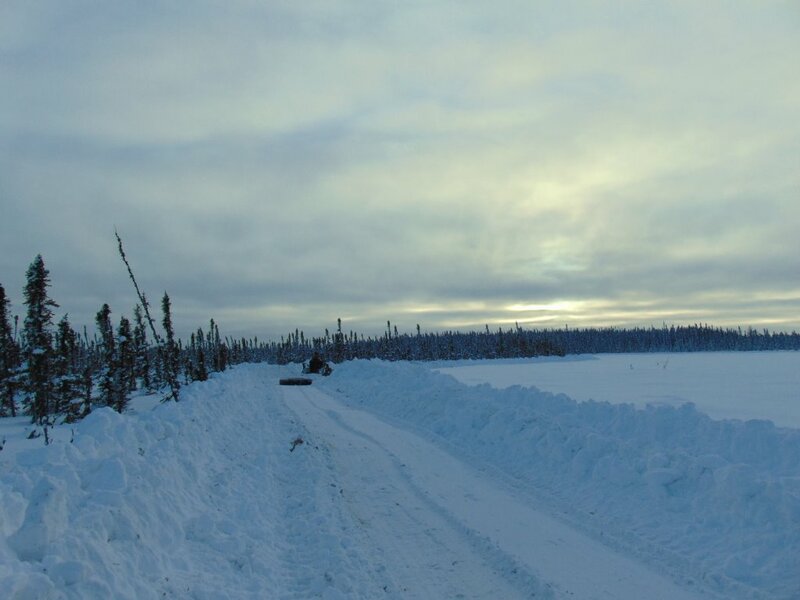 on the bush side of the road there is not slush or water under the snow bt on the lake side of the road there is about 10" of slush. great fun. since we don't edit any pictures or videos this little clip is not a good start because i didn't know if my son xena was filming or not. 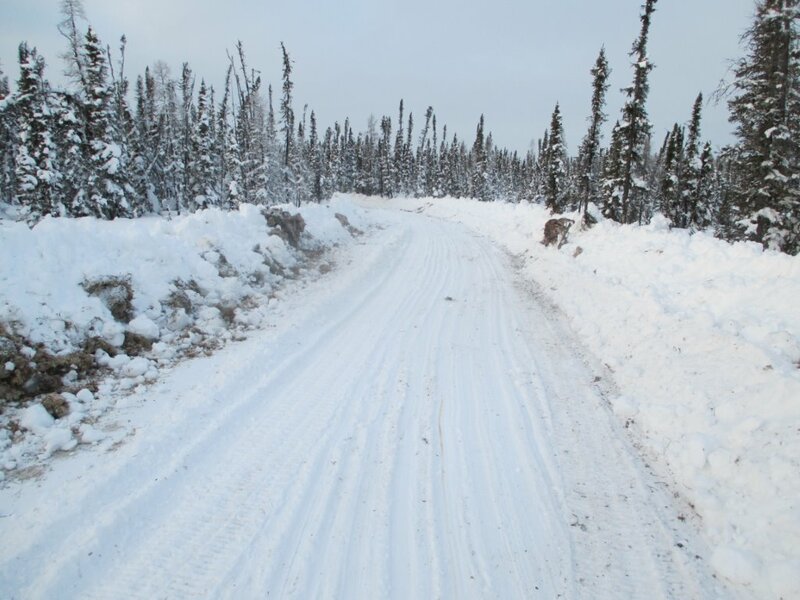 the finished road around the lake which any rental vehicle can drive on with no damage. 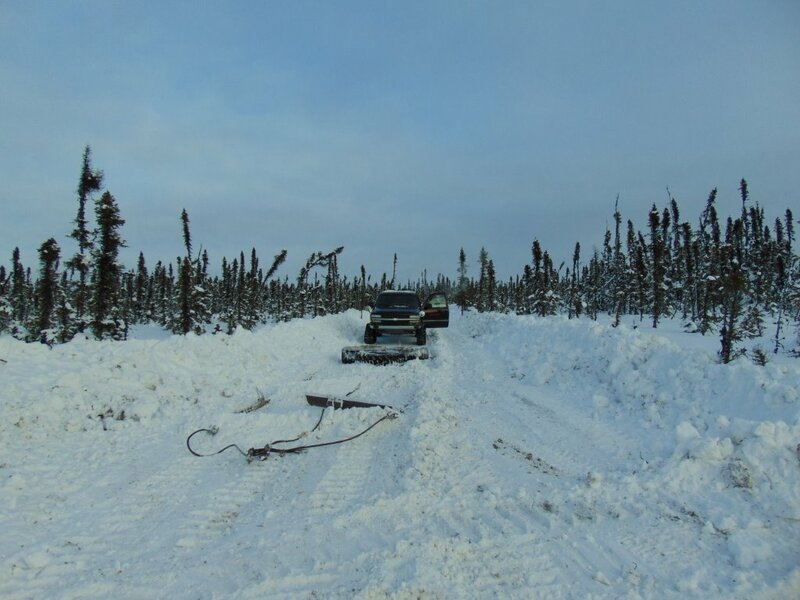 the hieght of the snow bank is quite high because the KoO-Tracks truck is high witht he tracks on too. 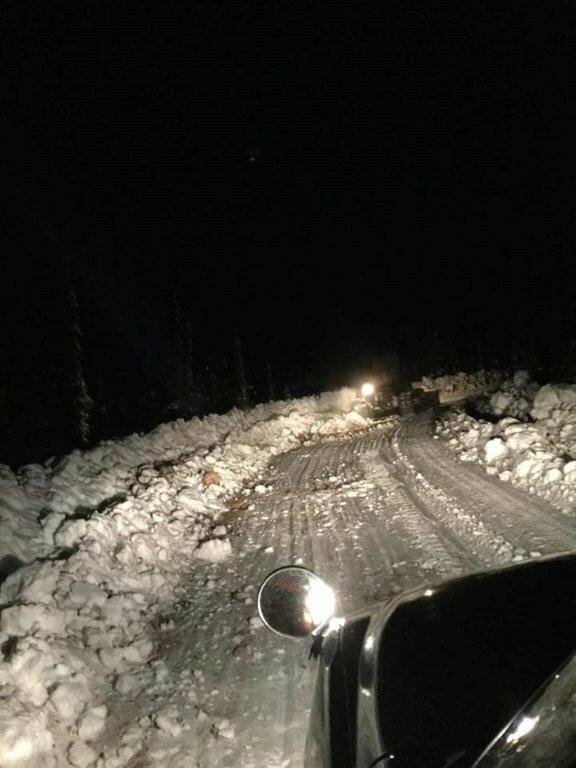 finishing up in the dark is normal for us when you buildwinter drill roads.